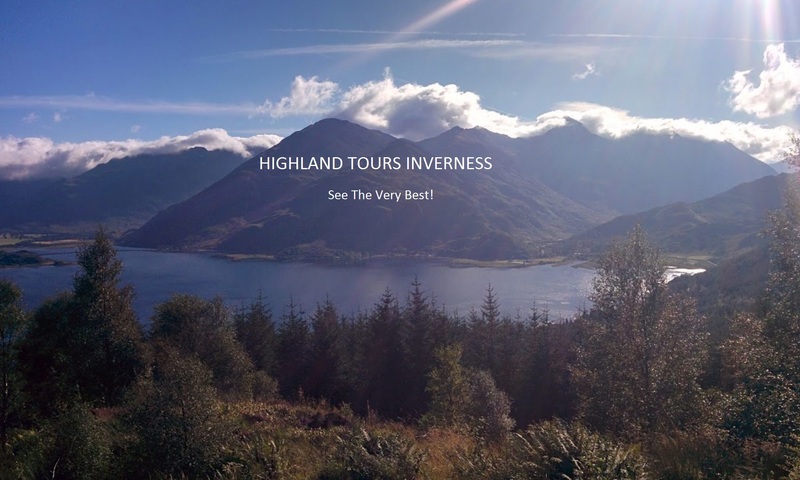 Loch Ness Tour from Inverness, visit Loch Ness for the day! Travel round the great Loch Ness, visiting several locations along the way including Urquhart Castle, Fort Augustus and the Falls of Foyers. Enjoy the natural beauty all the way and finish the day off with a dram on the banks of Loch Ness! 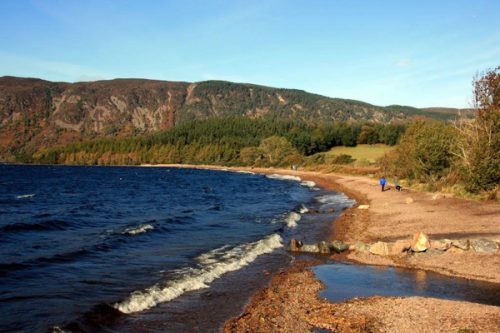 See Loch Ness, famous for being the home of Nessie, the loch sits on the Great Glen Fault. Loch Ness is 22.6 miles long, 2.7 miles across and has the largest water volume of any Scottish Loch. Its surface is 15.8 metres above sea level and is home to many species of fish. Loch Ness never fails to amaze visitors with its sheer size, mystic and beauty. The Loch Ness Tour from Inverness takes you initially along the north bank of Loch Ness arriving at the village of Drumnadrochit – an easy one to pronounce! 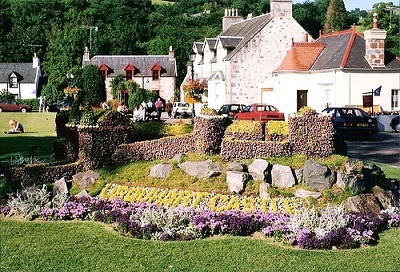 Drumnadrochit is a picturesque village, great for souvenirs and a picture of Nessie!! Next it’s Urquhart Castle a couple of miles down the road. Urquhart Castle situated on the banks on Loch Ness is a dramatic scene. Here is wild natural beauty and thousands of years of history, the Scottish Highlands at their best. 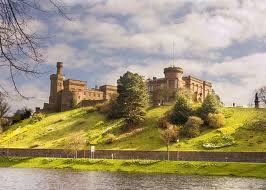 Some of the most dramatic moments in Scottish history have been played out here dating back to the 6th century. Inside you will learn the history through fasinating artefacts, historic replicas and a short film. Outside you can walk round the ruins, peer into prison cells and get another fantastic view of Loch Ness by climbing the Grant Tower. 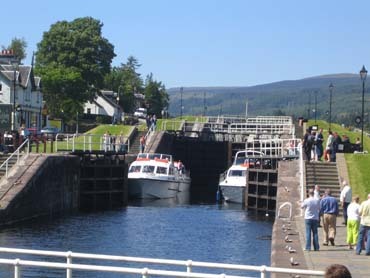 Now you’ll continue down the loch side to Fort Augustus at the end of Loch Ness! Originally called Kiliwhimin this village with a population of around 700 was renamed Fort Augustas after the Jacobite uprising in 1715. A fort was build after the Jacobite uprising, being completed in 1742 but was captured by the Jacobites in 1745 just prior to the Battle of Culloden. In 1876 the Fort was passed to the Benedictine Order who established Fort Augustas Abbey and later a school. Fort Augustas is situated at the south west end of the loch and here you can watch boats enter and leave Loch Ness through a series of locks. The only way is up, to the fantastic Glen Doe view point at 1300 foot high. 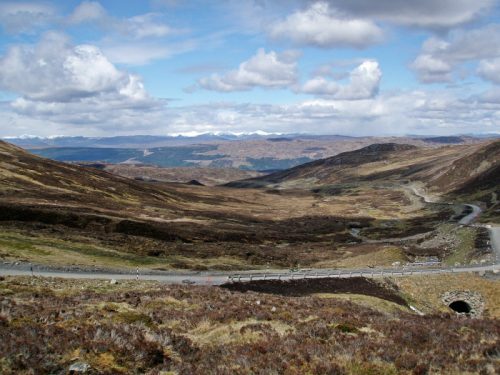 Glen Doe is one of the steepest hills in the Scottish Highlands with spectacular views for miles around. From here you can see the centre of Scotland!!! Now the road takes us to the village of Foyers. 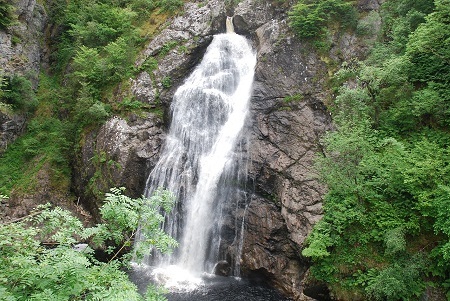 Foyers is a small village split into two sections, Upper Foyers and Lower Foyers, Upper Foyers has a lovely little cafe but the main attraction is the Falls of Foyers waterfall which is spectacular with a fall of 165 feet. Leaving Foyers we travel along the south bank of Loch Ness, arriving in the stunning village of Dores. 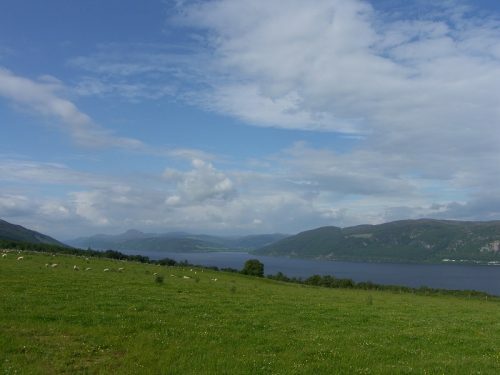 Dores is situated at the north east end of Loch Ness. 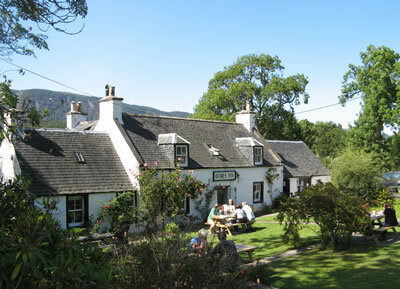 This is a truely fantastic stop, here you will get great views looking right down the loch, enjoy walking along Dores beach, sample a dram at the Dores Inn and get to experience what we believe to be the best possible view of Loch Ness from the top of Dores hill. From here we travel high above Loch Ness and as we approach Inverness you get an amazing birds eye view of the Highland capital. My Loch Ness blog post contains more information about this fantastic loch. 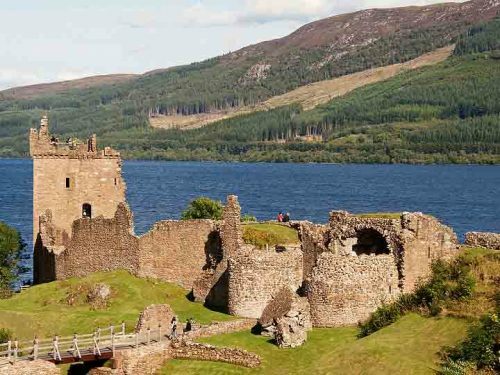 This Loch Ness Tour from Inverness lasts approximately 7 hours.